I love sand dollars. I have been lucky enough to find several washed up on the shore of Sanibel and Captiva over the years, nearly white from being faded by the sun. I’ve also found lots and lots of LIVE ones, which are ILLEGAL to keep in Lee County, Florida. Do you know how to tell the difference? 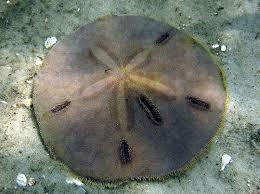 Sand dollars move along the bottom of the sea by using their spines (tiny hairs called CILIA). Unlike their other relative, the star fish, that moves by using the tubes on its feet. 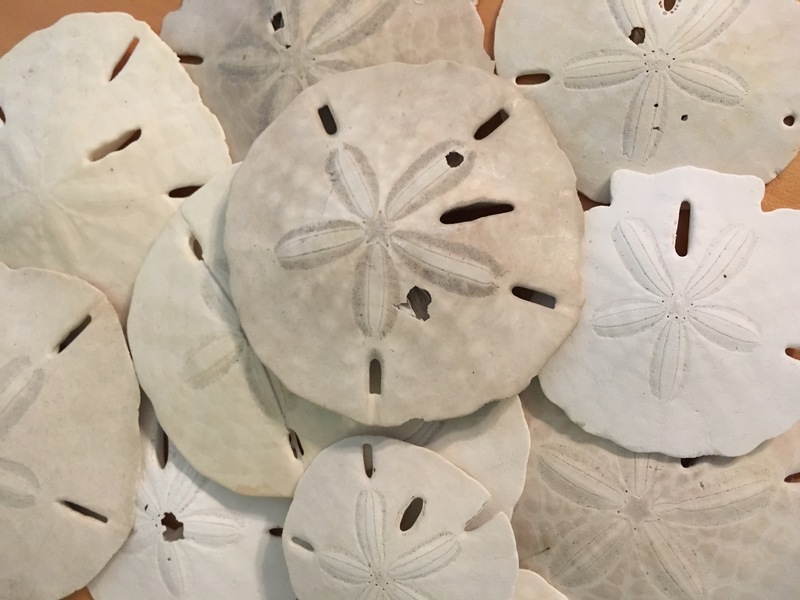 Over 600 sand dollars can live in one square yard. The life span of a sand dollar is six to 10 years. Sand dollars have a mouth with five “teeth” that can pulverize/chew tiny plants and animals. Sand dollar found on the shore. Is the sand dollar alive or dead? 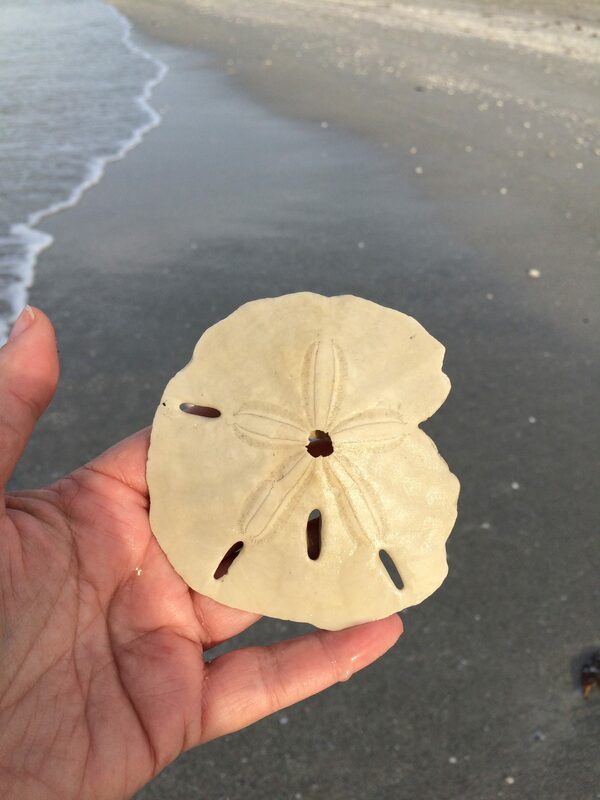 MOVEMENT: Place the sand dollar in your palm. Look at its spines (the little hairs that cover the animal, called CILIA). If they’re moving, it’s alive. HAIRY OR SMOOTH? Dead sand dollars are smooth and free of their spines/hairs. If it’s hairy, let it bury – place it in the water. COLOR: Sand dollars fade to gray or white when they die. When alive, they can be dark brown to purplish-reddish. Live sand dollar in the water. See its hairy edges? I have the best luck finding sand dollars early in the morning – the early bird definitely gets the washed-ashore sand dollar. Also, try the out-islands, like Cayo Costa. Happy hunting!